With the sun always shining, pristine white-sand beaches and light ocean breezes, Aruba is a paradise waiting just for you. Come enjoy the ultimate pleasure with a holiday on our tropical island. 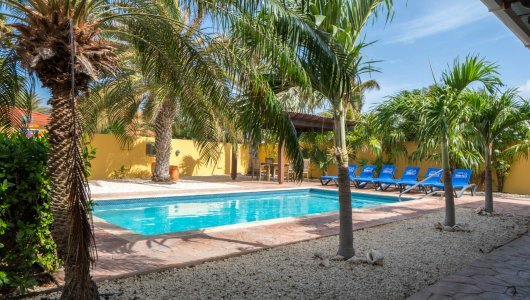 And to make your vacation as perfect as possible, you can stay in one of our gorgeous villas. 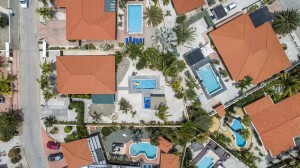 Each accommodation comes with its own swimming pool and plenty of space to give you and your entire entourage absolute privacy. We LOVE Our Visitors Here in Aruba! Can you guess what Nationality our TOP ARUBA-LOVING VISITORS Have? Yep – you guessed right: U.S.A. 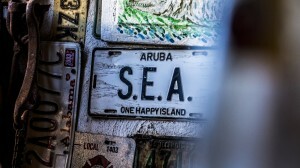 The Americans have been holding the #1 spot for being the biggest Aruba Lovers for years, AND COUNTING! This is exactly why we celebrate with YOU, America, when it comes to THE SUPER BOWL. This ANNUAL EVENT, although primarily celebrated in the United States of America, is viewed globally by millions of people. Whether its due to the adrenaline-pumping game antics, phenomenal (and muy costly) commercials, or just an excuse to get together with friends and family, the football-related festivities definitely make for THE SUNDAY FUNDAY OF THE YEAR! If you’re wondering what to do, or WHERE TO GO WATCH the 2019 Super Bowl LIII game, check out the Aruba football-friendly activities below to discover fun game day parties, specials, events, and deals! Who will YOU be cheering on this time around? *Specials and offers are published as soon as they are released! Every year on February 14th millions across the world express their love and affection to their loved ones with different creative ideas. People are eager to celebrate their relationship and the joy of their togetherness and make Valentine’s Day memorable for their beloved. Although Aruba is romantic any day of the year… celebrating Valentine’s Day on our One Happy Island makes for an experience to remember! *Specials and offers will be published below as they become available! 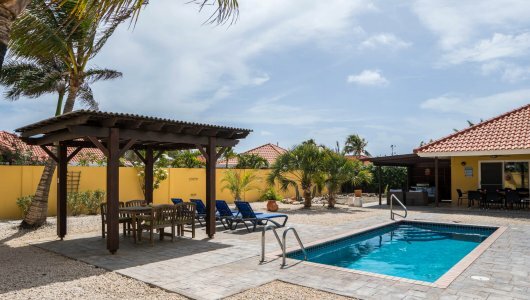 Easter on Aruba has become – for a few decades now – one of the most important holiday seasons. It includes egg hunting, Mass on Easter Sunday, Easter breakfast, Easter brunch, beach camping, BBQ-ing, and much more! 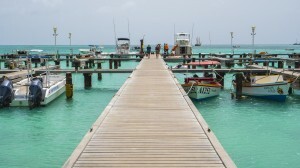 Are you in Aruba for Easter? There are great activities from Good Friday until Easter Monday planned for children as well as restaurant specials for all to enjoy! 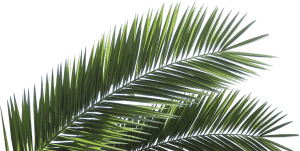 *The 2019 specials and events pertaining to Easter weekend celebrations in Aruba will be updated as we receive more information. 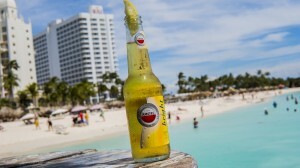 The Flip Flop Festival, brought to you by Chill Beer is one of the biggest music festivals in Aruba. This event brings around thousands of people annually, getting better and better every year. You can expect nothing but loads of fun, music and entertainment on the beach! *The 2019 official artist lineup and event details will be published as soon they are released! 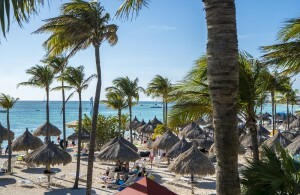 The Aruba Soul Beach Music festival is held on Memorial Day holiday weekend and includes many star-studded artists and comedians. The festival highlights five days of events such as beach parties, comedy nights and a big music festival featuring top class artists. 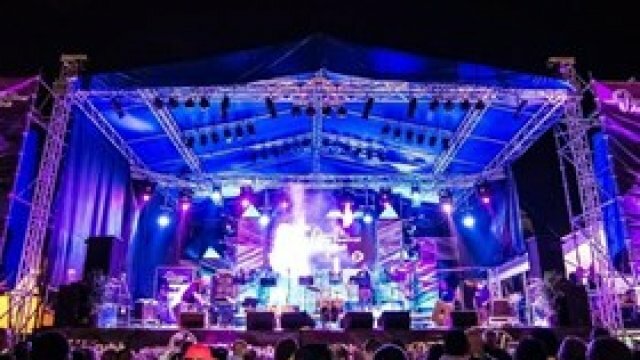 This event and the island of Aruba is sure to amaze you with one long weekend of music, comedy, parties and of course lots of fun! Soul Beach Music 2019 Festival lineup and program details will be published as soon as they are released! Remember the moments you have shared, and create more special memories this Father’s Day. Aruba is known for being the One Happy Island, but did you know that the Aruban community is very family-oriented? The locals love to celebrate life, and family festivities are no exception. 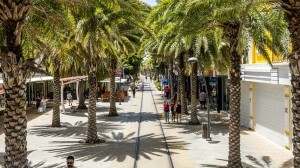 As Aruba is a multilingual country, Father’s Day is not only celebrated by the English-speaking, but also the Dutch-, Spanish-, and Papiamento-speaking families. Check out the international greetings below: English – Happy Father’s Day Papiamento – Felis Dia di Tata Dutch – Fijne Vaderdag Spanish – Feliz Dia del Padre Discover the fun and festive weekend events, specials, and activities that are offered for this year’s celebrations IN HONOR OF DAD. *Specials and activities will be published below as they become available! This sailing event features fun, action, and competitions among international yachts, catamarans, sunfish, kitesurfers and windsurfers during the day, combined with music, beach parties, and dinners at night! The sailors will compete for the overall trophy for the winner in the most competitive class. *2019 event information will be published as soon as it is released. 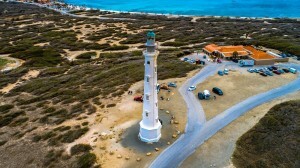 Visit www.aruba-regatta.com for more information. Contact the organizing committee at Email or call +297 565 6887 for registration and additional information. You can pre-register for the races via our contact form.